Serving The County Of Jefferson Since 1945! With over five generations of service since 1861, Reed & Benoit Funeral Home, Inc., is the premier funeral home for Jefferson County. We believe that our first duty is to those we serve, and that we must adapt our services to their wishes. In addition, we realize that there are few persons who can afford to ignore price, no matter what they are purchasing. Consequently, we offer a wide and representative selection for something proper and appropriate for any family’s needs, and at a price they can afford. Our continued pledge will be to make our services comprehensive, appropriate, and reasonable, constantly adhering to professional ethics and a code of unselfish service to our clients. 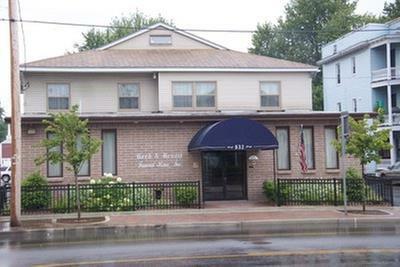 Reviews for Reed & Benoit Funeral Home, Inc.